THE Football Association of Zambia (FAZ) has announced the postponement of the 2018 Russia World Cup qualifier between Zambia and Nigeria by a week to October 9 at Levy Mwanawasa Stadium in Ndola. FAZ general secretary Ponga Liwewe in an interview yesterday said they had written to the Confederation of African Football (CAF) asking for the rescheduling of the match initially set for October 3. “The 2018 Russia World Cup qualifier has been rescheduled to October 9. We had written to CAF to have the game moved further to a date I cannot review, but before October 9. But CAF reserved the right and moved it to 9th. CAF had to look at the television rights to allow the live broadcast of the game,” Liwewe said. He said FAZ will adjust to the stated date and will not disturb the preparations of the team. “The rescheduled date is fine though the league fixtures have to be adjusted. We will now focus on the game on October 9,” he said.Zambia is expected to kick off the group qualifiers with a new coach, South African Gordon Igesude. However with less than a month to go, Liwewe said FAZ has not concluded the contractual terms with the new coach but he will be available for the qualifier. “This matter has not been finalised for FAZ to unveil the new coach. But the matter will soon be concluded,” he said. The Chipolopolo last Sunday recorded a 1-1 draw against Kenya in a formality 2017 Africa Cup of Nations qualifier in Ndola. 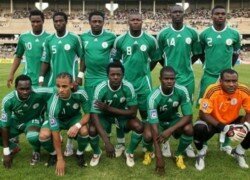 Zambia is in Group B alongside Nigeria, Algeria and Cameroon.